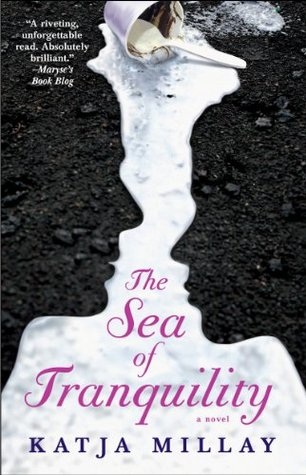 The Sea of Tranquility, by Katja Millay, is a literary work of art. This is the most intense, driven, volatile, broken, and genuine story you could ever imagine. Ms. Millay has introduced so many elements to this story, that I don't know where to begin. Nastya Kashnikov has been out of school for over two years. She was a prodigy at the piano, and had a near death experience that has caused her to stay in seclusion, in her room, away from her family and friends. She doesn't speak or interact with anyone. Her parents decide to send her to her Aunt Margot in California, to start her senior year at Mill Creek Community High School, and give her a fresh start. Nastya agrees to this, because she feels her aunt is easy and won't ask any questions. She will be on her own most of the time, while her aunt is working as a nurse at the hospital. Nastya's whole world has been turned upside down for the past two years, and as Ms. Millay reveals bits and pieces, the reader gets a better picture of the secret Nastya is withholding and why she will not speak to anyone. Margot, her cool aunt, is her mothers younger sister by 10 years. When Nastya goes to school, she decides she doesn't want to look pure and innocent looking. In order to keep people at arms distance, she will make herself look as unapproachable as possible. Nastya dresses like a street walker, with black makeup, black short skirts, (that barely cover anything) and 4 1/2" black stilettos. The girls shun her, the boys cat call, and everyone thinks she's easy. She lets them think whatever they want to think. She doesn't care, as long as they stay away from her. At night, when her aunt is at work, Nastya runs until she vomits, and cannot feel anything anymore. She is always listening for sounds and always leery of what lays in wait. She dresses plain, no makeup, hair pulled back, and is unrecognizable in the evening light. Josh Bennett is a strange guy. No one goes near him. He is the kiss of death to everyone and they are afraid they will die if they get too close to him. It's as if he has the plague, and has a force field around him. No one enters his space. Nastya notices immediately. She wants what he has. For weeks, she hides in the restroom till it is time for her after lunch class, just to avoid idle chatter or possible acts of kindness or friendship. Josh has lost everyone in his family to tragedy, and now his grandfather is dying and the last to go. He doesn't want friends. He has one true friend, Drew Leighton, though he is a bit of an a**, and his family. He is a loner, who works in the wood shop at school, and returns home to work on pieces of furniture in his garage. He doesn't interact with anyone, and only goes to Sunday dinner with the Leighton family because it has become part of an expected routine by the parents. This story was full of angst, mystery, romance, and friendship. Little by little, Drew finds a comfortable, silent, friendship with Nastya and each uses the other for their own purposes. Drew is not all that everyone thinks he is and with Nastya he can be himself. One day while running, Nastya see's Josh in his garage working on a piece of furniture, on her way home from running. She stops, stares, and insinuates herself into his life, and before you know it, they have a peculiar but loyal friendship, that Nastya is determined to keep purely platonic, though she has feelings for Josh. These two young kids get under each others skin and can't let go. As time goes by, the truth of why Nastya cannot use one of her hands, has scars, won't speak, and is afraid of her own shadow come to light in this dramatically earth shattering novel. Ms. Millay has created a sensational novel, dark, and impossible to forget. She deserves to be put into the literary cannon. I for one will never forget this life altering story. All the characters were well rounded, had tremendous character growth, and were integral parts of this phenomenal piece of literature. I give, The Sea of Tranquility, by Katja Millay, 5+ Life Altering, Tragic, Lonely, Broken, Unforgettable Stars!!! Katja Millay grew up in Florida and graduated with a degree in film & television production from Tisch School of the Arts at New York University. 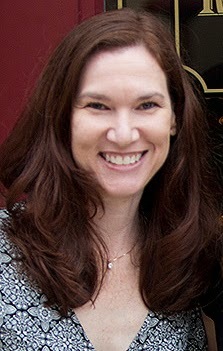 She has worked as a television producer and a film studies and screenwriting teacher. The Sea of Tranquility is her first book. OMG, you hadn't read this!? It's perfection! That ending? Absolutely perfect! Well Nereyda, The third time is the charm! I have been trying to reply to my comments and they haven't been going through, so here goes again! AGH! Lindy and Ria have been harassing me for almost 2 years to read this book and I never have the time. I'm booked solid almost 3 months in advance. So, something fell through and here we are! I loved this book and Ms. Millay is phenomenal. I hope I did her novel justice. She is amazing and I loved the end as well. Thanks for stopping by. It is always appreciated. Why have I not read this book yet?! Everyone has said this is such a beautiful story and so well written!! Amy, Don't wait any longer!!! Believe me, it was wonderful and I am hoping Ms. Millay has something in the works right now. I can't wait!!! I completely agree, Ro. TSoT is a work of art. Great review! Andrea, Thank You so much for saying that! I was so afraid that I wouldn't do it justice. It was a literary piece of art. It means a lot coming from you. This book is absolutely gorgeous and I am so glad you loved it. Best last sentence in a book in the history of forever. Great review! Thank You so much Teresa. I am so happy you liked it. Love your blog. I wasn't expecting that last line. It was great! Thanks for stopping by. This book broke my heart completely, and still managed to put it back together again. It made me fall completely in love with Nastya and Josh and Drew. It honestly blew me away. My sister borrowed my Kindle, and decided to check this one out one day. She called me basically every single day, raving about it. So, when she finished I decided to give it a shot. And was blown away. I will read whatever amazing piece of art this author puts out there for us to read, because I don't think for a second that she could disappoint. I completely agree with you Jaime. What a great story! I tell my mom and sister what books are great to read, so they never get a bad read! Ms. Millay is definitely on the top of my list for best author's ever!!! Thanks for stopping by. I know Nereyda!!! Agh! Lindy and Ria have been harassing me for almost two years, but I never have the time. Now I could kick myself for waiting so long. This book was phenomenal, and I can't say enough about Ms. Millay. Thanks for stopping by. I appreciate it. I'm going to download a sample to see if it get captured by the story. From your review it looks quiet promising. Hope you enjoy it. It is quite a deep and complicated journey of two broken, lost people, who desperately fight to reach the surface for that last gulp of air when they are drowning. I'm sure you will love it.